Islamabad condemns Wednesday's attacks in the Iranian parliament and Imam Khomeini shrine in the nation's capital city of Tehran, the Pakistani Foreign Ministry spokesperson said in a statement on Wednesday. MOSCOW (Sputnik) — Earlier in the day, the group of four people in women's clothes opened fire in the building of the Iranian Parliament, with a subsequent explosion. 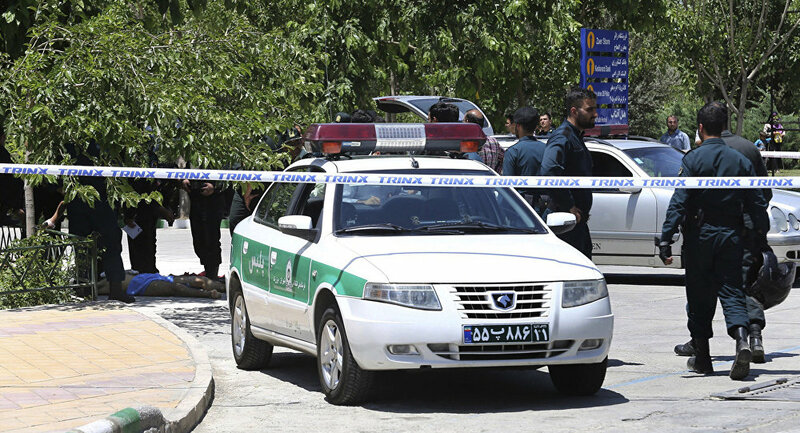 Another attack involving an explosion took place near the Imam Khomeini shrine. The Iranian Justice Ministry said, citing medics, that at least 12 people were killed and 33 people were injured. "The Government of Pakistan has strongly condemned today’s terrorist attacks on Iranian Parliament and mausoleum of Imam Khomeini in which, reportedly, precious lives of innocent people have been lost. We stand in solidarity with the people of Iran in their hour of grief," the statement said. According to the Foreign Office spokesperson, Islamabad offers its deepest condolences to the Iranian people, government, and bereaved families, and prays for the speedy recovery of those who have been injured. "Pakistan condemns terrorism, which is a global phenomenon and common challenge, requiring resolute and coordinated approach to deal with the menace," the statement stressed. Daesh reportedly claimed responsibility for the attacks. The IRIB broadcaster reported that the counterterror operation in the Iranian parliament in Tehran has finished, with all four of the attackers eliminated.